Steve Nash Wears Nike Hyperfuse 2012 Low "BHM"
Steve Nash helps us continue to the 2013 Nike/Jordan Brand Black History Month Footwear Collection unveiling. 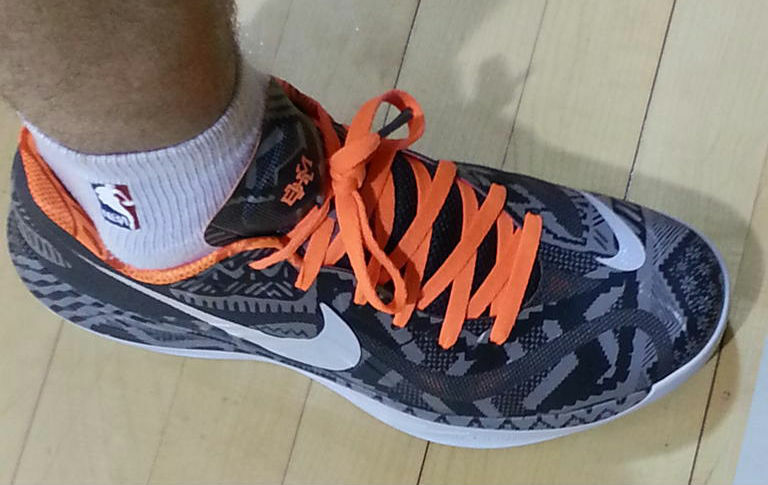 Earlier today, the two-time MVP was spotted at Lakers shootaround wearing the BHM Hyperfuse 2012 Low. The shoe features a unique African print in black, grey and white with contrasting orange hits, including the BHM logo on the tongue. Would you like to see Nike drop these?